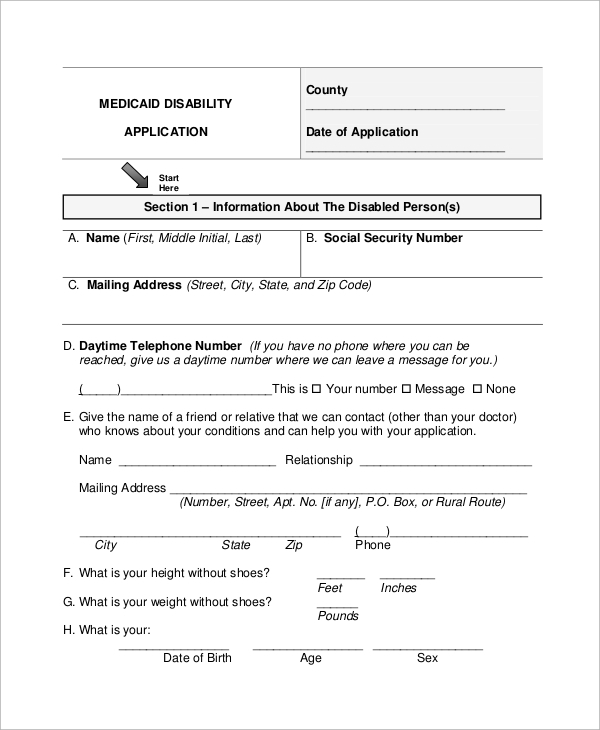 Social security disability forms are for those who are in no position for work any further. It is most likely to be due to medical conditions. Hence, such people can take the benefits of disability period by furnishing proper medical evidence and filling an application form. 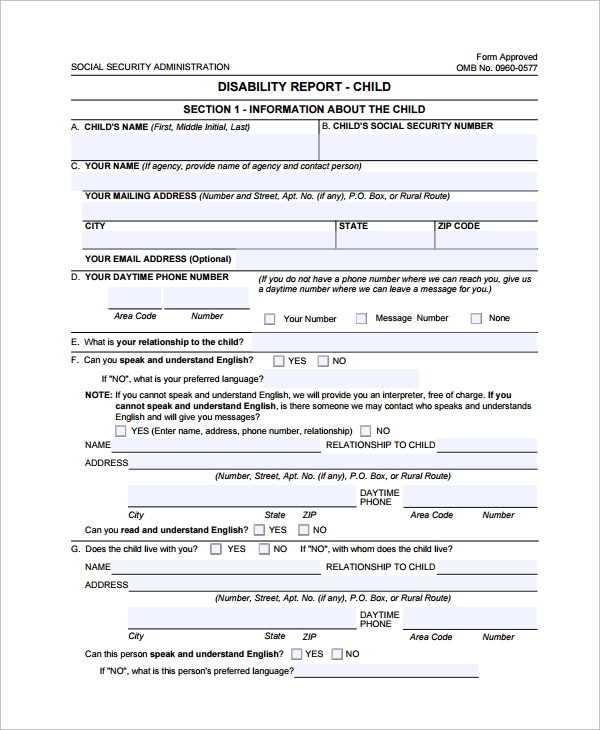 The following social security disability Sample Forms contain all the instructions, a list of documents and required fields that apply to different people with different disabilities. 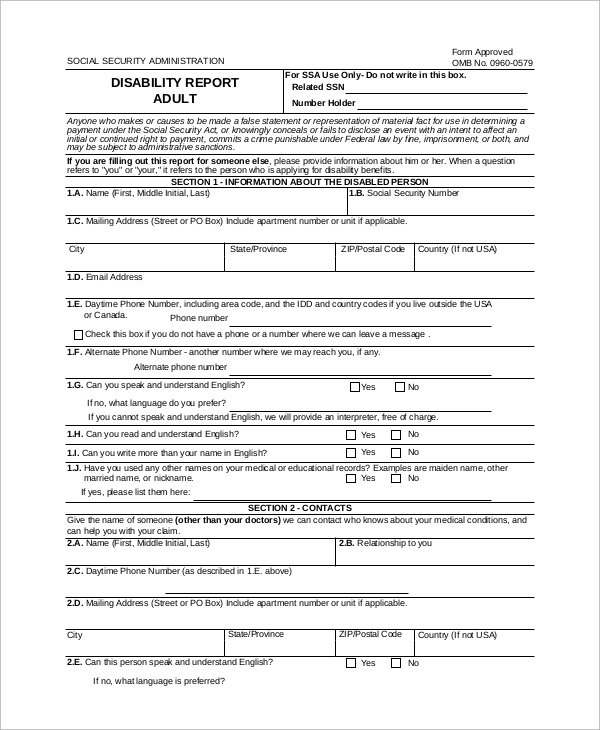 This is a social security adult disability form that comes with all instruction to fill the form correctly, lists all the documents required, and contains a detailed form to fill up to be eligible to claim the benefits. 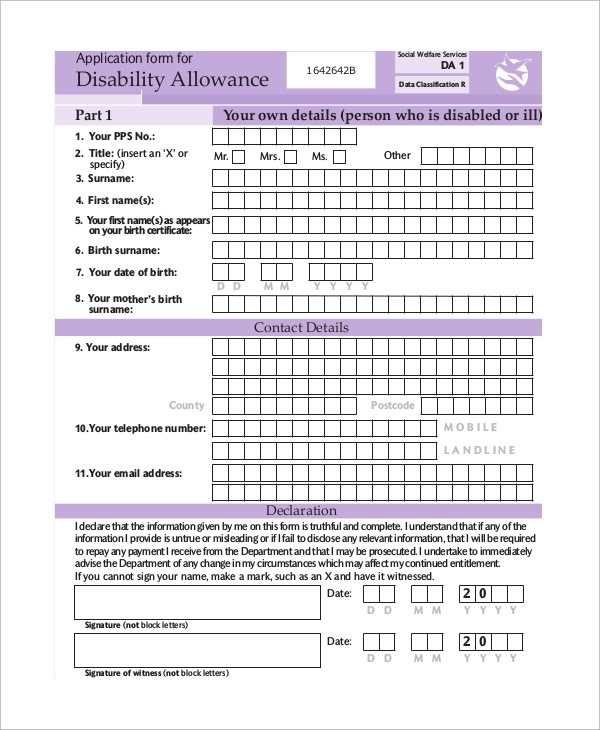 This is a Social Security Application Form for disability. It illustrates a sample form and shows how to fill the form, and it contains section such as personal details, contact information, work and claim details, residence condition, payment details, details of children, and other such necessary provisions. 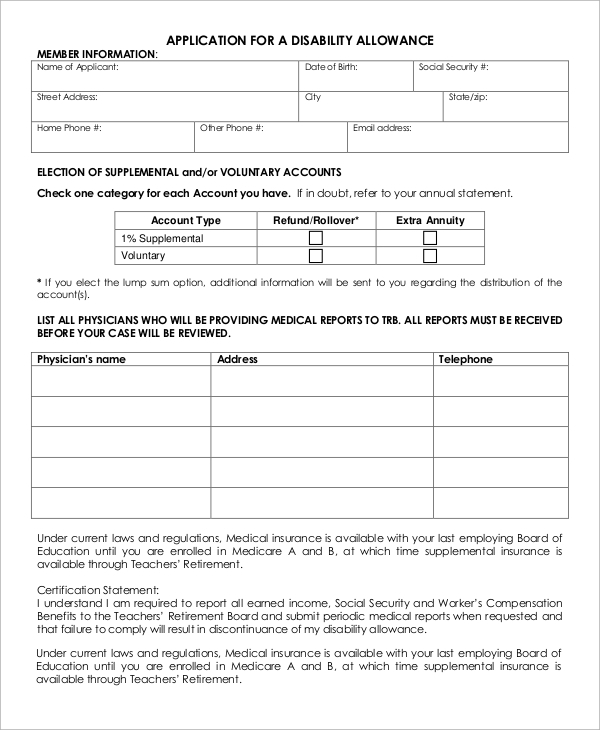 This is a perfect form to report social security disability. It contains all the instructions as to how to complete it, what are the medical reports to provide, the fields to fill up to be eligible to receive the benefits. People who are not medically fit anymore to work or has suffered an accident or even those who are nearing death, they can available all the benefits for their disability by furnishing proper disability forms. 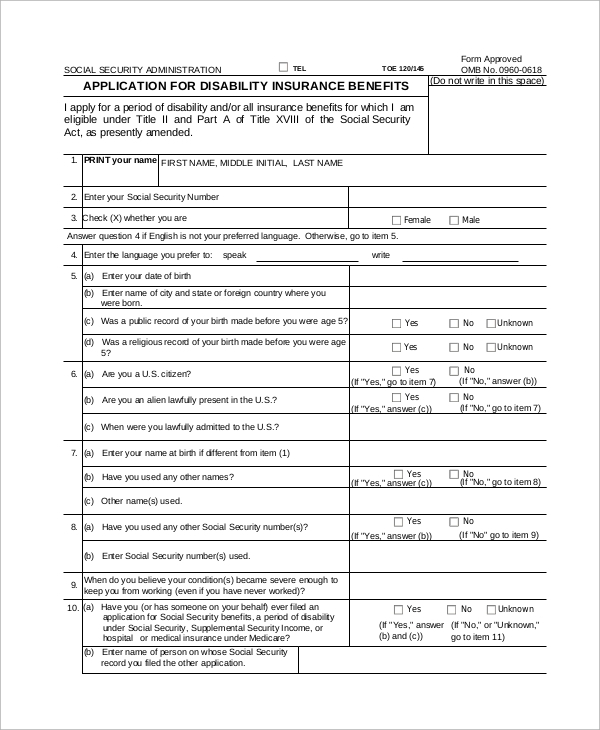 The above-listed Social Security Forms cater to different criteria and class of disability, and anyone can go through them to understand the eligibility criteria, the document required, review process and the fields to fill with proper data to make the entire process swift and effortless, can use these forms. This is a social security allowance form that contains the eligibility requirements, filling requirements, review process details, and other necessary information followed by a 10-page form to fill up all the required data for claiming the benefits. The targeted audiences for the social security disability forms are the people who have suffered a major accident or those who are suffering from major diseases that no longer allow them to continue working. They can claim benefits and money by furnishing proper evidence and data. Their families can apply with the form as the person may not be available to do so. They are also useful to claim benefits if any extra insurance was done beforehand. The above-mentioned Social Security Disability Forms are applicable for all those people who are no more in working condition due to medical problems. They can claim the social security benefits offered by the government, financial claims from insurances and there are forms to report to higher authorities to avail extra benefits. All the forms come with enough information so that everyone can do it themselves.